This page is here for your chance to have your say and make comments. 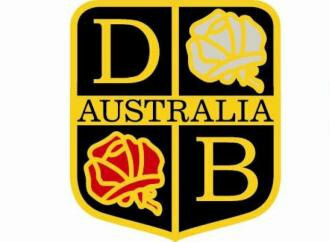 It is hoped that it will enhance your David Brown Tractor Club of Australia experience and be a benefit to Club members. It might prove to be a way that members can keep in touch. The David Brown Tractor Club of Australia covers the whole of Australia and is is not easy for members to readily share information - it is hoped that this page will be used in this way. Your comments will only be posted on this site after the Webmaster has approved them for posting. Please do NOT tick the Private Message box, as this means that I cannot publish your message onto the site. If you have any questions relating to your David Brown Tractors or Implements, you will probably find someone who can answer them. You may find that when you leave your email address along with your query or comments, that members will contact you direct to your email inbox. Comment: Testing 123. This is a test post to make sure that it works. Please make sure that you type "dbtca.org.au" alongside "http://". Thank you. Thank you for your query. My husband just purchased a new filter for one of our tractors today. Cost was $16.50. The same one fits the 25 petrol and diesel. Hope this information helps. If you need any other info, please don\\'t hesitate to contact us and if we can\\'t help, we\\'ll put you in touch with someone who can. Comment: DB 1412, how reliable are they ? Comment: I have been asked to attend the Rally on Sep 14-15, 2013 held by Sydney Antique Machinery Club,The Annual “Clarendon Classic” Rally, is at Hawkesbury Showgrounds,Racecourse Rd, Clarendon Featuring David Brown I\\'ll be going and wondering if any other members/potential members will be there. they got my details when they dropped into our site at Mudgee, sounds like a road trip to Sydney/Bathurst/Wagga Wagga/Deni coming up. Comment: Dear People I have a 1955 DB25 that requires a replacement manifold gasket. Can you buy replacements, I have manufactured the last couple. Ideally I would love to discard the hotbox manifold but are unsure if there is a alternative available. Comment: I am after the illusive \\'scuttle plate\\' for our David Brown Cropmaster 30c. Can anyone help us out? Editor\\'s Note: Ian has now purchased himself a DB Cropmaster after a few of our members kept up a conversation with him. Congratulations Ian. Comment: G Day, I just got a one owner DB serial spp10435 I think its a prairie, are the command in oz ? could any one tell were panels and parts (Steering box parts)can be purchased threw in oz ? thank you Mathew. Comment: I have experienced some problems with the website recently. Changes that I have made since the end of September are not showing up (something to do with an upgrade the host company has done to the web builder site!) Please make sure that you include your email address, and advise if you don\\'t want it to be made public. By including your email address, our members can also reply in person to you regarding your enquiry. Thank you. I hope that you have now read my reply Matthew. Sorry for the delay. The Webmaster (Robyn). All fixed now, thankfully. Comment: Thank you Cindy for the Christmas wishes and the same to all members and guests who visit here. Obviously New Year is just around the corner and I hope that all who are travelling do so safely and return home to your loved ones. Dee and I have a 1954 30c Cropmaster and are looking for a scuttle plate to suit. I know these are very rare but if you don\\'t ask you never know. If I can not buy one I am looking at making a few. I can borrow a fairly good one to make the copies but I MUST return it to the owner once I have made a few. I am glad I have found my way back here as trying to access it through the British site no longer works. Take care everyone. John n Dee. Comment: Hi, Can anyone tell me where I can purchase a full workshop manual for a DB950. Thanks, Gavin Stewart. Komtech Earthmoving Repairs. Comment: gday.. can anyone tell me what a 950 implematic livedrive that is completely original, in top working order, with only 4100 hours on it, might be worth before restoration and also after being restored? Comment: Hello, I have recently joined the club. I\\'m currently restoring a 950. I need some parts and was wondering if any one would be able to point me in the right direction. I need a radiator, mud guards, battery box and battery covers. Any ideas on where I can source these parts would be great, thanks. Comment: Have 885 with fel just accidentally put a litre of hydraulic FLUID into transmission oil sump to top up oil level is this a problem , should I drain it ? Comment: Hi All, I have a David Brown 30TD serial number TAD3 48 11058. Engine number AD4 31286. I think it was built in 1958 or 59? It has a hydraulic blade and PTO pulley. It is in a bit better then fair condition and is operational. If someone could give me some feed back on the year of build and a guestamation on value would be greatly appreciated. Brett. Hi Brett, The 30TD was produced between 1953 and 1959 and there were 653 produced, which would mean that there were around 93 produced each year. As a guess, I would imagine that yours was produced around mid 1958. Hopefully another of our members will be able to give you a rough guide to it\\'s value. Robyn Cole, Webmaster. Comment: After 2 years of searching for a scuttle plate for our 30C Cropmaster we finally found and purchased one online. It was listed in an obscure section and described as an unknown part too good to go to scrap. It is in the hands of my brother in law in Qld and we will pick it up from him in early August. Will have it fitted in time for the Rusty Iron Rally in Macksville NSW on the first weekend in September. Purchased price was the opening bid,,,$10.00. Condition is excellent with only slight surface rust in places and a very small amount of scaly rust where it attaches to the foot plate. No dents anywhere. YIPPEE! Hi John, You have done extremely well to find a 2nd hand scuttle, let alone getting it at a bargain price. Well done! I expect to see pictures of the 30C when you finish it. Robyn Cole, Webmaster. Hi Wayne, Neil has emailed you a reply, the six digits are puzzling. Maybe someone else has an answer to your query. Robyn Cole, Webmaster. Comment: Hi everyone. Yesterday when loading our 30C Cropmaster onto Lorry to take him to a Rally he started making some bad bearing knock noises. So he is still sitting on Lorry and now I am looking at rebuilding the bottom end at least. I have a couple of questions to ask before I start stripping the 30C down. Where can I but a full gasket set and the contact details? What is the name of the bloke up on the New England Plateau NSW that does DB parts and rebuilds the oil pumps? Are the bearings usually readily available for the crankshaft and big and little ends? We do have a good bearing shop near us in Taree but not opened on weekends and I don\\'t know what size I need as yet anyway. Are clutch kits readily available? Any tips on what to look for? I look forward to any help and advise on my engine rebuild. Cheers John n Dee. Comment: Yes Robyn I must learn how to post some pics here on this site. Then I can post a picture of the scuttle plate in place and after the engine rebuild I can then slowly start on the tinware and get it all straightened out and rust removed from one of the mudguards then the paint work. This will take a bit of time. Comment: What are the torque wrench settings for the crankshaft, big end caps and the what is the valve clearance COLD for both inlet and exhaust? I have the hot settings for the valve clearance but a cold setting is easier than the hot. Comment: A quick \\'Get Well Soon\\' to Bill Hudswell of this site. He has been very helpful to me during my engine strip down for a rebuild on our Cropmaster and has been unwell of late but he is on the mend. We are thinking of you at this time Bill. I finally have taken all the parts to the engine reconditioner in Taree for a clean up and an assessment. Hopefully it won\\'t be too scary. Comment: Has anyone heard how Bill Hudswell is? I have sent a quick email to him but don\\'t want to annoy him in any way. Hopefully he is recovering quickly. I am about to order a heap of parts out of the UK for the engine rebuild that I can\\'t get out here and they then should arrive in about 10 days time. I have sourced a bloke who makes the water distribution tubes for the head of our Cropmaster and they too are made from stainless. Bill has been improving and hopes to make it to our display at the National Field Days at Orange 23-25 October, 2014. Comment: Hi all, I don\\'t know how many of you buy parts from \\'David Brown Parts\\' in the UK but I see they are selling new Cropmaster Knee cowlings (I call them that anyway). They are expensive but would be the final touch that I think is worth it sometimes. Comment: There is a David Brown supplier in Ireland and only on facebook garbage that sells fiberglass scuttle plates. As I don\\'t use fb I don\\'t know any other details. I finally have my scuttle and want to make a mould and reproduce them in glass as well but that won\\'t happen any time soon. Comment: Hi, There is a fibreglass mould for the scuttles in Toowoomba here already. I think Albert Brimblecomb here has it. He is in the Toowoomba and District old machinery club. We have a very good fibreglass mob locally and We have often thought to get them made but it comes down to how much demand there is for them and how much do people want to pay for them? Moya Wicks. Comment: I would like to send out a big thank you to Bill Hudswell for all his help and in supplying the gasket I needed during my engine rebuild on my Cropmaster 30c. It is now up and running with a couple of very minor issues to resolve and should be all sorted with about 2 hours of joyous time. I will send a picture of where it is at as of today and another once all the tin ware is back in place with a scuttle plate fitted for the first time since we have owned this little gem. P.S. I have listed 2 30C diesels for sale in the for sale section. Comment: can anyone help me to obtain a workshop manual for a 25d to make life a lot easier with settings parts and adjustments? You can get in touch with one of our Club\\'s Technical Advisors - Bill Osler, who holds a collection of manuals. If he has the correct manual, he will charge you the copying fee as well as postage. As he sold David Brown parts during his working life, he also holds a wealth of knowledge so should be able to answer your queries. His details are on the Club Contacts page. Robyn - Webmaster. Comment: Can Anyone over in Auz please help me I am looking for a gentleman by the name of Theo Kerchoffg he is dutch and married to Ilene a scots lady, Theo parents in Holland were DB agents and Theo worked with my father in Kenya on David browns and Class combines, Theo left Kenya in the sixties for Auz but I am not sure where but I believe he worked on DBs in Auz for many years, I wish to get in touch with Theo can anyone help please . I am sure the old DB network will work somewhere. Many thanks Ian Keyl. If anyone is able to help Keyl, please email him with information. Robyn, Webmaster. Comment: we are in need of a motor for a 30 D crawler or a wreck in NSW. if anyone has any information, a motor or wreck i would appreciate it if you could email me. Comment: I have a DB Crop Master which is in need of a few repairs. I need to know the type of oil for engine and gearbox, also oil filter. I also need one oil filler cap, and one pair of lift rods. If anyone can help me in this it would be much appreciated. Thank you all. Craig. Comment: Hi, Trying to find DB Orchid white paint or codes. Cant find it anywhere in Australia. Sparex have a DB /Case white but it is the creamier colour. Any help appreciated. Comment: My hubby would like to know if anyone is using a 3 point linkage bench saw off their David Brown. We\\'re having a spot of bother with the belt breaking. Comment: I am looking for the colour codes for DB colours; DB Hunting Pink (cherry), DB Primrose Yellow,DB Red (Currant Red), DB Orchid White, DB Chocolate Brown, DB Poppy Red. Can anyone help? Thank you. Comment: Has anyone looked closely at the new "log books" for H plated vehicles here in NSW. Not knowing all the details yet I can see it will be a bonus for cars and trucks but not sure about the tractors. What is being offered is that the owners keep a log book and sign off on it each time they take the vehicle out on the road. No need to inform the Club that you must be a member of and the Club must also be approved by the RMS but as tractors don\\'t really meet all of the ADR regulations we may be left out. Any thoughts? Comment: Hi Team... Im trying to track down a replacement clutch and thrust bearing for a David Brown P25 Crop Master AK4-3-3 1/2. Im in the Hawkesbury Area of Sydney but not a concern if a clutch is available out of state. Appreciate your advise on sourcing these bits. Comment: Received the 2016 Calendar and it is another beauty. DBTCA has done a wonderful job with great pictures. Well done to those involved and thank you. Also have a safe Christmas holiday and a Happy New Year. Glad you liked the calendar John. It can only be as good as the photos supplied by our members, and it is a great thing for our Club to be able to give something back to the members. I still have some extra copies available for $12 plus postage. Webmaster, Robyn. Brett, With a serial # SP10437, this would make the tractor a Super Cropmaster. The Prairie Cropmaster would have the prefix: SPP. The other tractor is a VAK1C produced in late 1951. Good luck with your two tractors. On behalf of the David Brown Tractor Club of Australia, I would like to wish everyone a belated Happy Christmas and a Safe & Happy New Year. I hope that 2016 is a great one for everyone. Brett, It would probably be worth your while contacting Bill Hudswell, who was a Spare Parts man for David Brown for a number of years. Bill may still have some parts available, or be able to point you in the right direction. Bill\\'s details are in the Club Contacts section of our website. Comment: Hi everyone I have a David Brown 880A 1966 model,with power steering I am looking for a new or good second hand steering arm for this, as mine has broke.COULD IT BE WELDED? Comment: Just purchased a DB 880A Serial #561717/S. What is the best Service Manual, Best Engine Oil and Transmission Oil? Comment: Can any one help out, I am chasing a reasonably priced water pump or water pump kit to suit, a early 990 implematic (red tractor)with a 5 bolt mounting. I have only been able to find one in Australia, for $500 out of Melbourne, which is unreal as I can buy one from the UK of about $100 Australian but the shipping and the time to get here are the killer for me at the moment. Any help would be greatly appreciated. Comment: Hi all, great website! Just a quick question, I have a Case/DB 990 selectamatic with the full flow hydraulic filter. When replacing that filter, should the filter neck fit up in the suction pipe and hold the filter in place while installing the cover? Mine doesn\\'t want to, and sitting it in the cover and bolting it on doesn\\'t hold the filter up to the auction pipe. Tried old and new o rings. Anyone had this issue? Thanks in advance! Comment: Thanks Robyn and Neil, I hope that you are enjoying your trip around the States. I will have a chat with the Earl of Gloucester when it is time but he used a panel beater in Sydney to do his tractor but he may well have the info when needed. I still have a long way to go before painting starts. To update the information about \\'H\\' plated vehicles in NSW. I have been to our local RMS people and asked about the new log book and if it is available for tractors and the reply was a simple YES. So with the details of the tractor, rego plate and my drivers license I now have a log book to drive on the NSW roads 60 times a year or for a total of 60 days. I had to prove my membership of a recognised Club and that was that. Now just waiting for a suitable day to go up to the local State Forrest for a picnic travelling via some worthwhile sites of the area. Comment: Dee and I took our 1954 David Brown 30C Cropmaster to the Yesteryear Truck show at Wauchope NSW a couple of weeks back. We had a great weekend with other tractor buffs and we won 1st prize for the Roughest Tractor (Best Tractor in the under 45hp in its working clothes). This is something that we are proud of and the engraved beer mug has "gone straight to the pool room" to coin a Phrase. Later this month we are taking our Cropmaster to the Cranky Handle Rally which is at a new venue at Kurri Kurri NSW near Newcastle. After that it is time for the Rusty Iron Rally at Macksville which is our home Club for displaying our toys like mowers, stationary engines and our much loved tractor, David. Comment: There was a great story on Landline 2 weeks back on Competition Ploughing and showed some nice David browns along with other marques doing what they were meant to do. A brilliant story so if you missed it look it up and watch it. About a 20 minute story. Thanks, John. I had a look at the story and it was very good. Editor. Comment: Hi, I have finally got our fibreglass people here in Toowoomba to make the mould for the Cropmaster scuttles, Knee cowling. They will cost $200 each and have been made to be smooth both sides. They come undrilled and require a small amount of finishing work but I have had one on a tractor and it fits. I will have one at the Allora weekend, Australia day weekend 2017 if anyone wants to inspect. They are very nicely made. Moya Wicks ph 0409 265 443. Comment: Well the latest edition of the DBTCA calendar has arrived and once again it is a beauty. well done to everyone involved. I also noticed that we now have access to a fibreglass scuttle plate for the Cropmasters and look forward to seeing some pics of it and it is also a very reasonable price. Dee and I wish to send Seasons Greetings to all Members and visitors to this site and have a safe and happy new year. Comment: Hi everyone, Looking out our back door we have a Super Cropmaster waiting for, well lets say, some attention. Originally it was purchased to supply some tinware for our 30C Cropmaster then the 30C can be painted and the Super Cropmaster can be on sold with the old tinware from the 30C. While Dee and I were sitting and having a cuppa, I had a "dirty thought", why don\\'t we make a replica Taskmaster? I kept this as a thought for as long as I could and once mentioned it was given the OK by Dee to not sell it and to keep and make the changes. I am still sitting on the fence but I feel I am now not allowed to sell it on. My main question is how many Taskmasters or similar were bought into the country and how are they identified on the serial number plate? Also what size tyre and wheel assemblies are fitted to the steer and are they available as the ones there now are 900 x 19. Comment: Hi all, I am about to start restoration of a DB 990 Selectamatic. I am hoping someone can give me the paint codes so that I can get the correct colours, or, advise where I can purchase the correct paint, Chocolate and Orchid white, I believe, were the originals. Comment: Hello, I\\'m currently restoring a 1960 DB 950. I\\'m confused about the correct paint colour (red) to use. Also not sure about the yellow for the wheels. I\\'m looking for some guidance on this and also recommendations on brand, type and place of purchase of the paint. Thank you. Hi Calvin, We only have 2 members from WA, but maybe some of our members will be in touch with you hoping that you can share your knowledge with them. Enjoy your stay in Australia. Webmaster. Comment: Good Afternoon, I have recently purchased a Cropmaster 25 Petrol/TVO. I just wanted to know if there is anywhere in Australia to source parts from? The main item I am chasing is a replacement manifold assembly, as mine is completely eaten out with rust. I have found them in England, but would prefer to get it local if I can. Thanks in advance. Ben. Comment: I\\'m about to start the final stage of restoring our Cropmaster 30C. Just brakes to be done and a small oil leak at the rear and straighten up the tinware ready for paint. In cleaning up the large cast alloy David Brown badges on the bonnet I noticed that the yellow is the background colour and that the Hunting Pink was used over the tops of the letters originally. Is this correct? Comment: Just doing up an 885 and need to find out the original colour of this model, can anyone help or direct me to where I can get this information please. Comment: I have a David Brown 880 Selectamatic with a front end loader and would like to know of a cost effective way to add power steering. Any help would be greatly appreciated. Comment: hi.i bought a case 1845b skidsteer with a david brown 3 cylinder diesel engine in it but dont know which model. numbers stamped on block are 355604 and numbers under them is 11287937. on the sump is u6007. any help please. thanks keith. Comment: Good afternoon all, I am located on the Sunshine Coast in QLD. I have a DB 885 with an issue, the rear lifting arms no longer lift. Is there anyone near by or surrounding areas that may be able to assist in rectifying this issue.